Hey, everyone! Who’s ready for summer, because I sure as hell am! After the winter we all endured, some lovely weather is much anticipated by many of us. But warmer weather also brings it’s fair share of skin problems. With warmer air comin’ in, that means sweat, chlorine, salt water, dirt, and oily skin will be abundant throughout these next few months and, if you’re anything like me, that can sometimes mean some major breakouts. So today, I wanna help ya’ll avoid that a little bit by sharing with ya my favorite current spot treatments! But before you read the rest of this blog post, I need you to promise that you won’t laugh at me. hahah I can tell you guys that I’m a skin product hoarder all day, but you won’t truly understand until you see my “little” stash that I got goin’ on. You guys are probably so embarrassed for me right now. haha You wanna know the craziest thing? 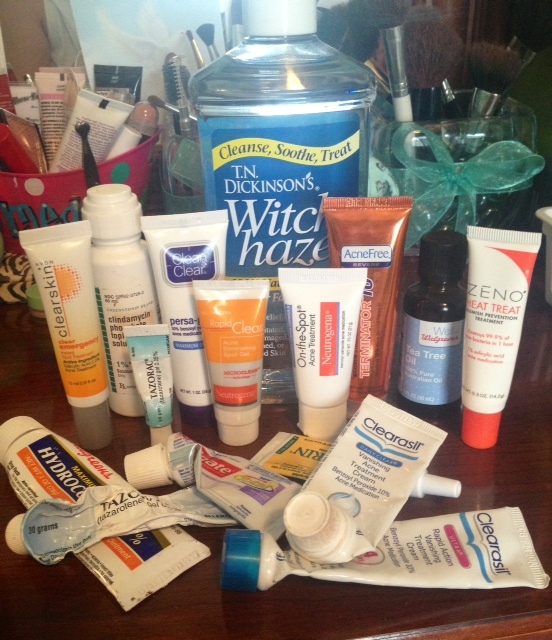 I accumulated the vast majority of these spot treatments and acne fighters only during the last, like, two months. Kinda pathetic, I know. I swear, every single time I go into a store, I just cannot leave without getting a skin/face product! But hey, at least I know what works and what doesn’t, right? 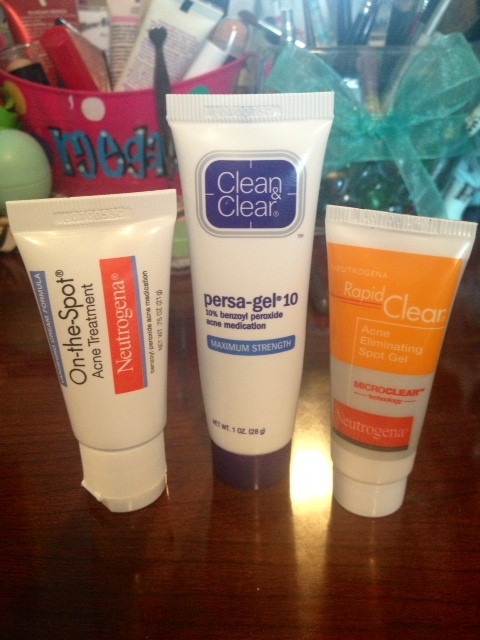 (Keep in mind as well that these are just my spot treatments… I have a whole other stock pile of face washes and scrubs. haha) Don’t worry, I’m not gonna bore you by talking about every single one of these products, I’m only gonna be talking about the bottom three today. I’ve also done reviews over the Witch Hazel and Tea Tree Oil, so I’ll link those reviews down below at the very end for ya to check out. Out of all three of the spot treatments I showed above, this one is by far the most gentle. This is the Neutrogena On-The-Spot spot treatment and it’s available at any drugstore for around $5. I really enjoy this this product! It’s just a basic white cream, like most spot treatments are, and you just rub it in on the affected area. It instantly soothes any soreness. This product doesn’t typically yield quick, overnight results, but by the next morning, your breakout will be significantly less red and completely soothed. If you have overly reactive or sensitive skin, I think this is the product for you! 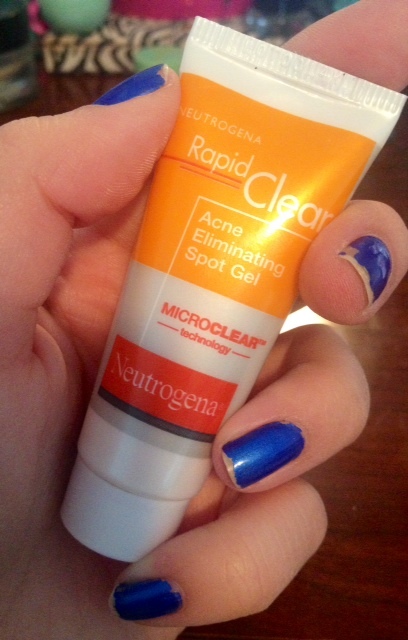 This spot treatment is also Neutrogena and this is their Rapid Clear Acne Eliminating Spot Gel. 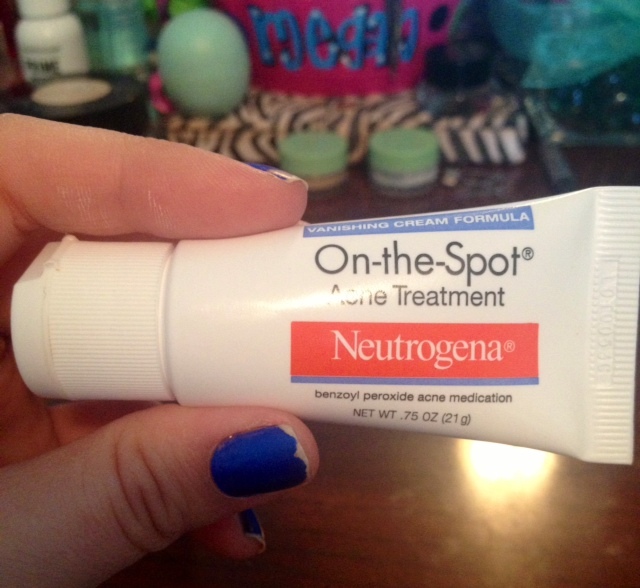 This product is pretty much a complete flip from the first Neutrogena product I showed ya! This is way more harsh and, instead of being a white cream, this is clear gel that you rub in. When using this product, expect a little bit of a kick after you rub it in. You’ll notice some tingles, but it shouldn’t hurt! So if it starts to burn you, defiantly go wash it off. With this one, while I wouldn’t say you’ll get overnight results, you’ll defiantly get fast results! So this would be perfect for someone who has a big event coming up and needs that breakout gone ASAP! 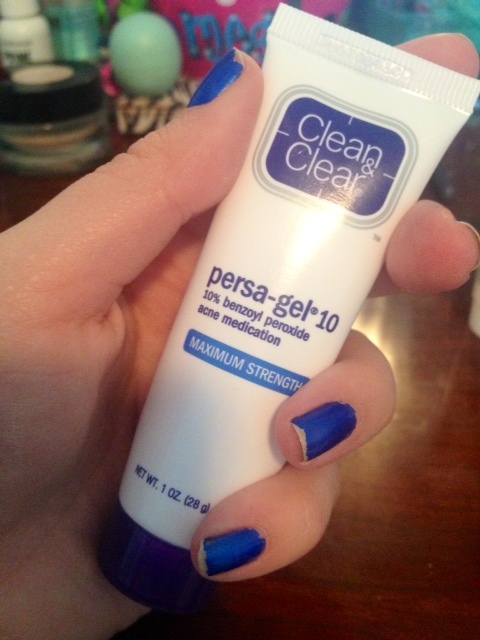 Last but not least is my beloved Clean and Clear Persa Gel 10! I have no idea what the name means, but I freaking love this stuff. It has all the gentleness of the On-The-Spot cream with the effectiveness of the Rapid Clear gel! Since this stuff is that white, cream consistency, I typically dab some on my breakout and don’t rub it in. I just leave it there overnight! In the morning, I wash it off and I notice major results! 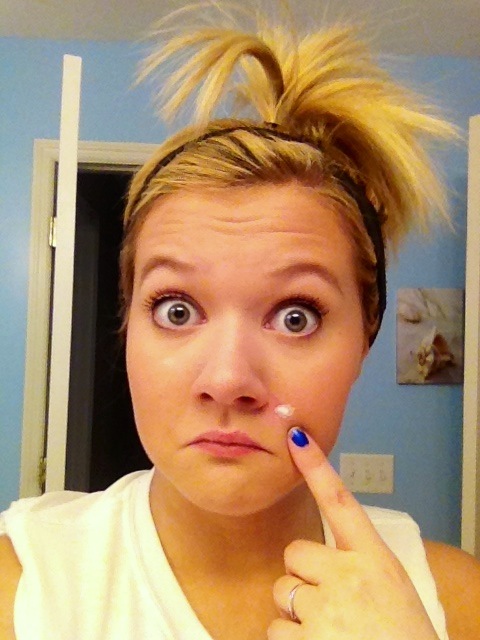 Either my breakout is gone or it’s gettin’ there! This product is also available at any drugstore for around $5, though if it was more expensive, I would still purchase it! This spot treatment is gonna be perfect for any skin type, from oily to dry! I went ahead and modeled the Persa Gel 10 for ya. You’re welcome. hahah I don’t think it’s any secret that I don’t have great skin. In fact, it’s actually pretty horrendous. If ya’ll wanna see a picture of my skin all natural (you’ve been warned. haha), I’ll link that post down below as well. With my problematic skin, I tend to go through spot treatment after spot treatment, but these three that I listed below have done a really great job of keeping acne at bay! I hope you enjoyed reading this and I hope it helps some of ya! If you have any questions about any of these products or any of the other products shown in my picture, ask away! Don’t forget to like this post and give me a follow as well, I’m only 4 followers away from 100! 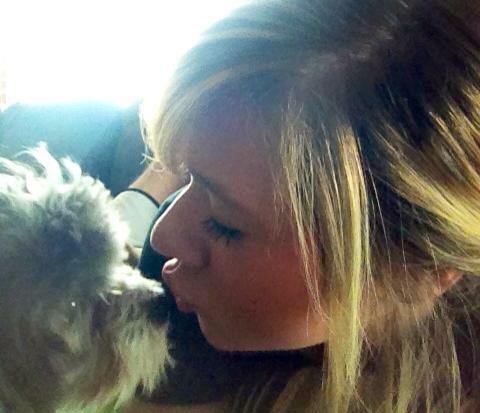 (: Thanks so much for hanging out with me today, I’ll talk to you guys later! This was extremely informative…thanks for sharing!